Clown will be released on Blu and DVD on August 23rd and stars Laura Allen, Andy Powers and Peter Stormare. 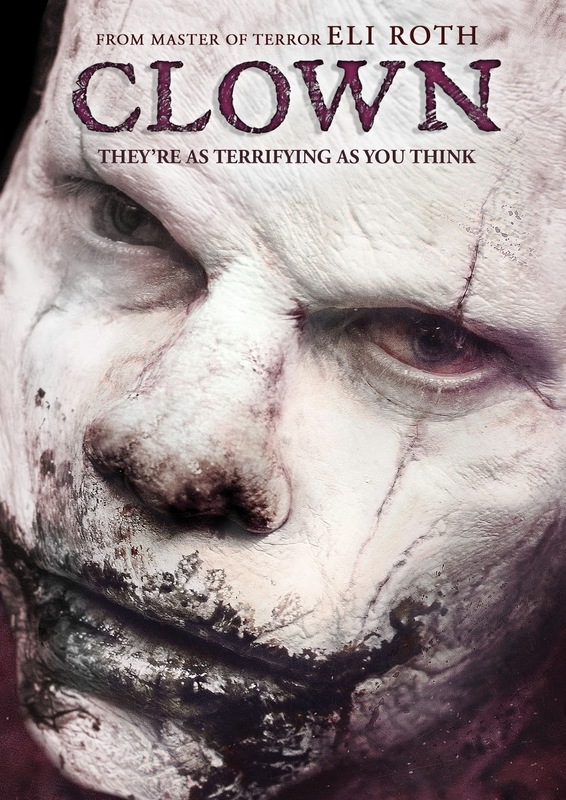 The release will include "Making Clown featuring producer Eli Roth". "Clown is a story of a loving father who dons a clown outfit and makeup to perform at his son’s sixth birthday, only to later discover that the costume – red nose and wig included– will not come off and his own personality changes in a horrific fashion. To break the curse of the evil outfit, the father must make grim choices with his own family facing danger."